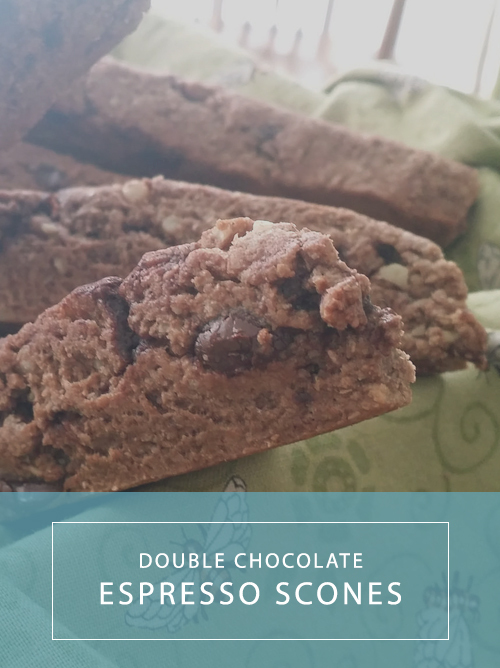 It’s amazing to me how just a few ingredients transform into something as delicious as these double chocolate espresso scones. 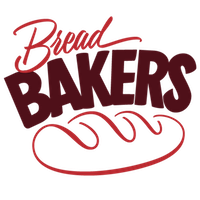 This month’s Bread Bakers theme was chocolate, and when I came across this recipe it was love at first sight. Since I am a coffee fiend, I decided to add a tablespoon or so of instant espresso powder to the dry ingredients. It definitely added some depth and richness, although it wasn’t exactly a coffee flavor. Make a ganache: In a small saucepan, bring the cream just to a boil. Place 1/3 of the chocolate chips in a mug or small glass bowl. Add the cream to the chocolate chips; let set for 2 minutes; add 1 tsp butter and whisk until satiny. Let cool to room temperature, about 15-20 minutes. In a large bowl, stir together the flours, baking powder, sugar, salt, and espresso powder. Cut in the cold butter into the flour until small peas form. Stir in remaining 1/3 cup chocolate chips and optional nuts. In yet another bowl, whisk together 3 Tbsp ganache to 2/3 cup light cream. Whisk together. It will appear a bit grainy. Pour into the flour mixture and mix together until there are no crumbs left on the bottom of the bowl. May need to add more light cream/milk. On a clean work surface, pat out the dough into a 7x10 rectangle. Spread the remaining ganache over the outer two thirds of the dough. Leave the middle third empty. Fold the rectangle like you would a letter. Once it\'s folded into thirds, pat down to a 1\" thick rectangle. Cut into wedges and place 2 \" apart on a parchment lined baking sheet. Optional: Brush tops with cream and sprinkle with coarse sugar. Bake in preheated 400F oven for 8-10 minutes until golden brown. Allow to cool 5 minutes on baking sheets, then slide onto wire racks and allow to cool a further 10-20 minutes before serving. The Verdict: Definitely worth the effort, and the “good” chocolate chips! So deliciously rich and pairs perfectly with a good cup of coffee. Yummy! Double chocolate and a hit of coffee to start the day deliciously. Double Chocolate Scones and Coffee sounds like a great afternoon coffee break! Cream, chocolate, butter…these have my name written all over them! Scones make a perfect break-time snack and oh! all the more delicious if it includes chocolate!! Thanks for participating in this event! Just lovely. The addition of espresso powder always gives a boost to any baked goods with chocolate. I love chocolate scones! You are right, the combination of just a few ingredients can be incredible. It’s amazing what espresso does to chocolate. Chocolate + Coffee, perfect match!!!! Perfect snack anytime! Oh those chocolate scones look sooo delectable. Yummy way to start any day. Chocolate scones look delish. Tempted to bake them now. 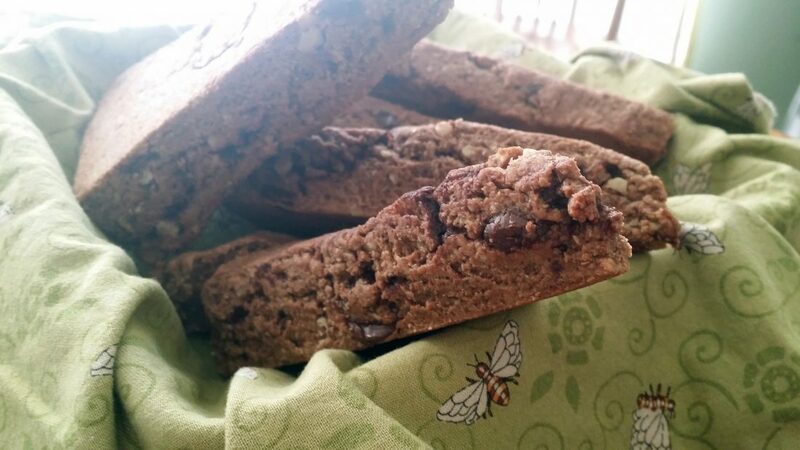 A bread with few ingredients and with added benefit of chocolate! Sign me up. These will be wonderful with coffee.